Fero Mobile has yet launched another mobile phone called Fero F1100. Having looked at the specifications below, i guess it's just made for making calls alone and nothing more. Fero F1100 carries a very small screen display of 1.8 inch coupled with a very small 1000mAh battery capacity. 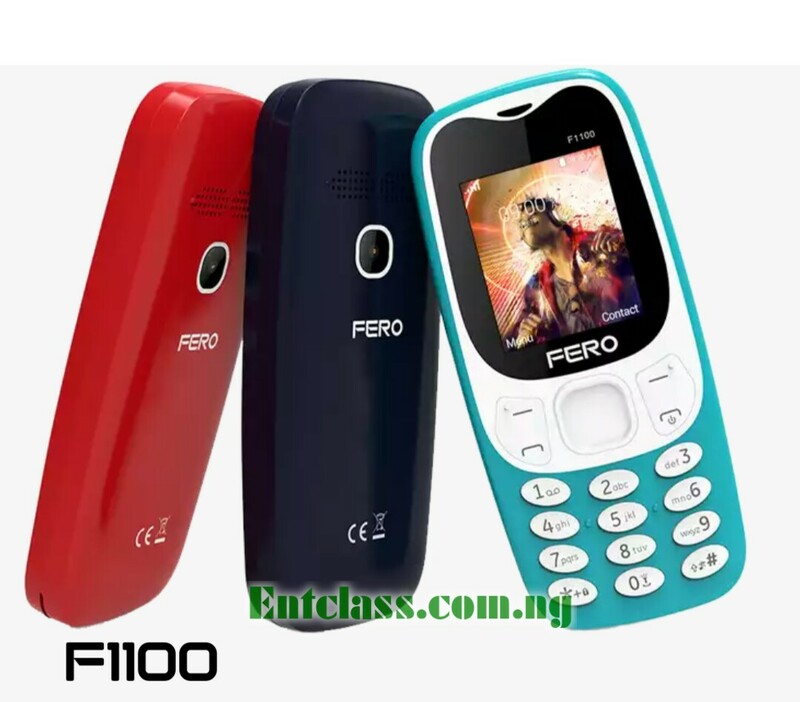 In terms of looks and design, the Fero F1100 looks very much alike with the Nokia 3310 2017, but can't be compared together aside the design. Colours: Red. Black. Sky Blue. Price: Should cost between 5,000 Naira to 10,000 Naira. It seems like a Chinese version of 3310 but much cheaper. I saw it on their Facebook page.